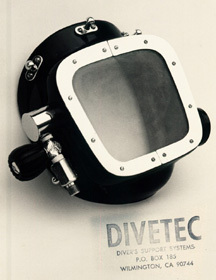 Mike Carson founded his own company in 1970 and sell under the brand of Divetech two types of bandmask and one type of helmet. 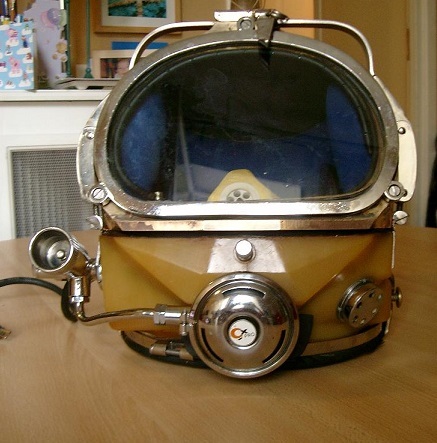 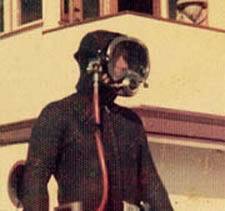 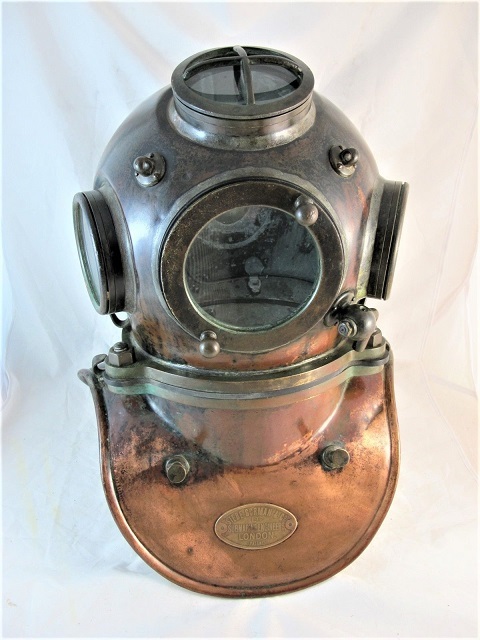 Latter in the 70s the company was renamed to Carson Dive Systems. 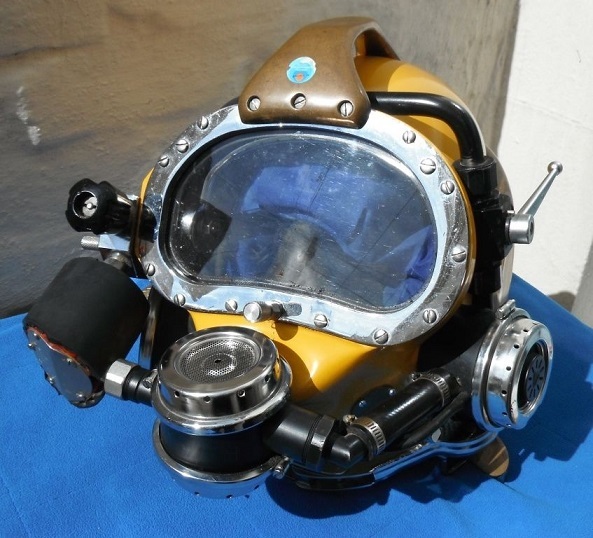 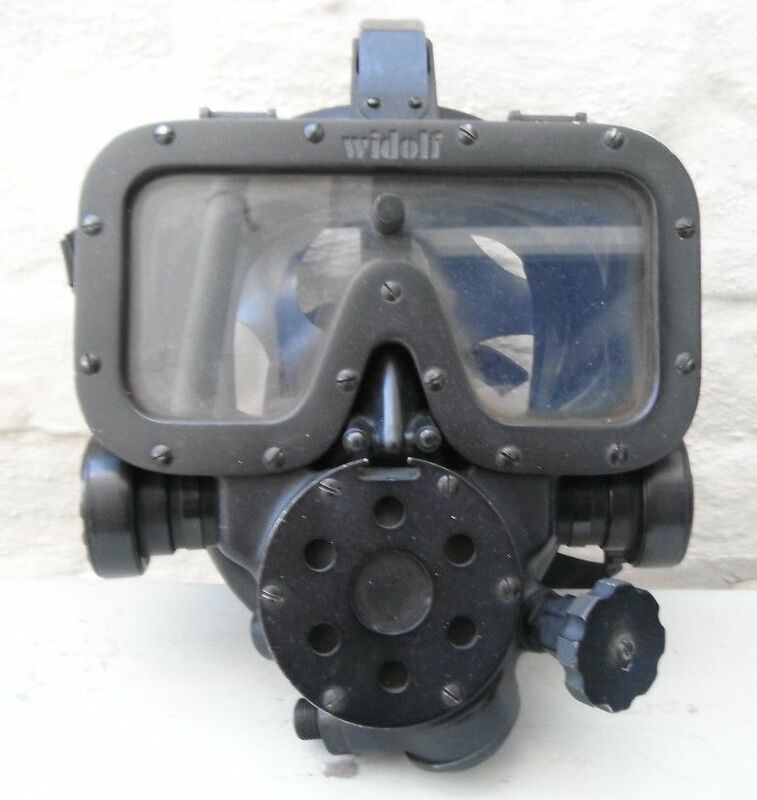 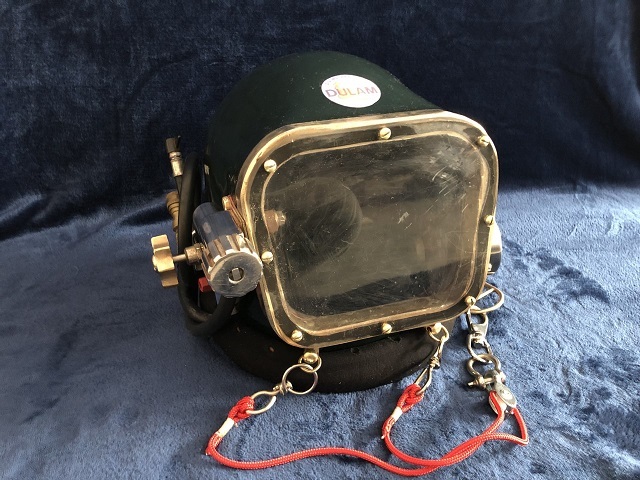 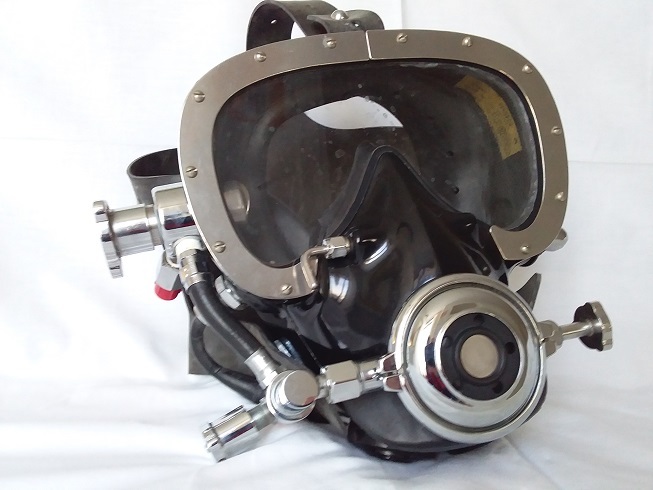 In 1976 Mike Carson was involved in designing the Com Hat 1I for Us Divers, the version manufactured was completed by someone else. 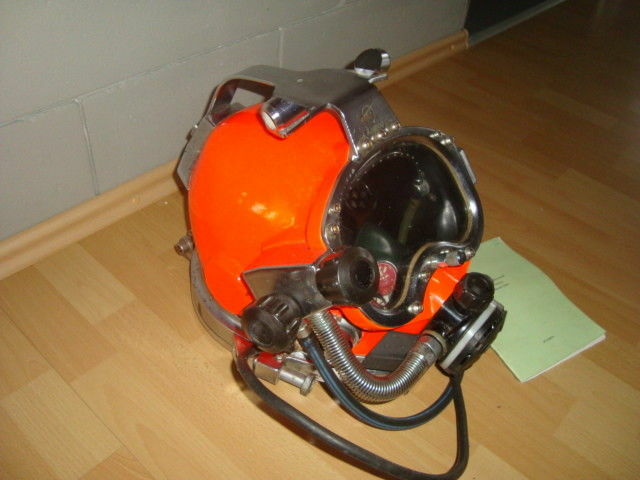 The same thing happends for the Com Hat 2. 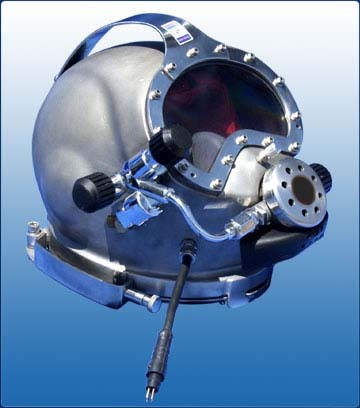 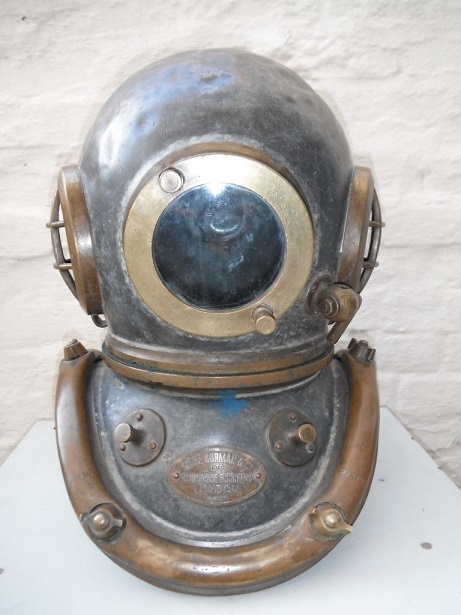 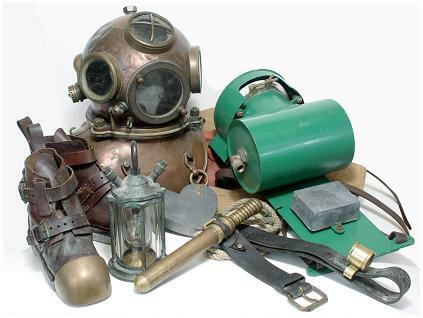 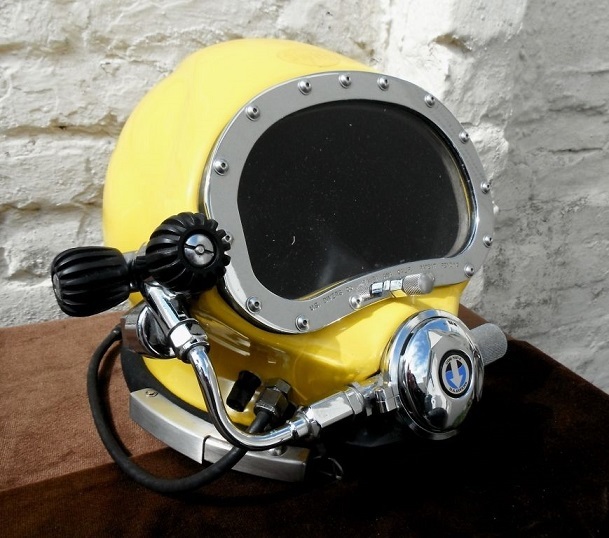 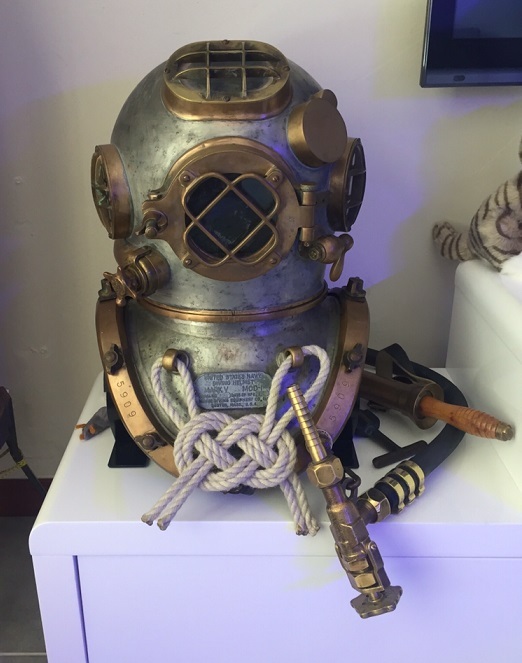 See the "US Divers" helmet page for the Com Hat helmet. 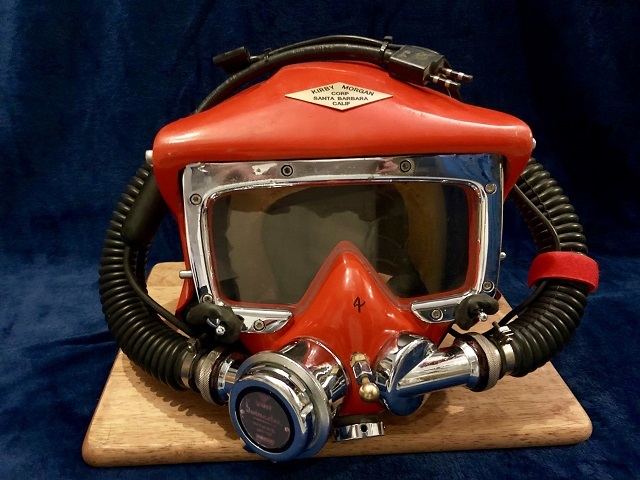 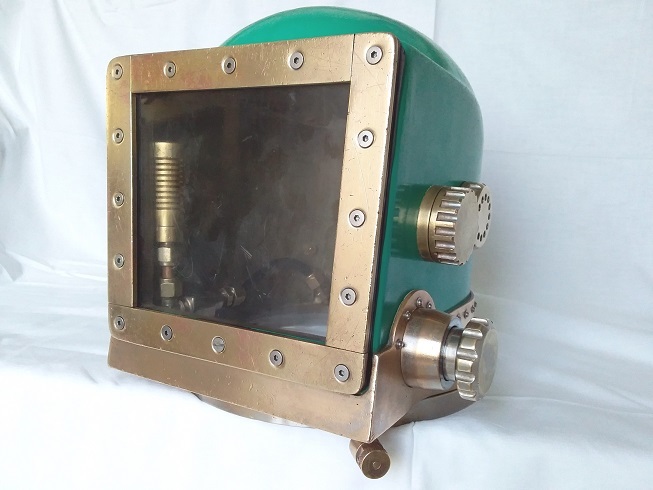 After a few years break from the diving business, Mike has re-setup his company to design and manufactured diving helmets. 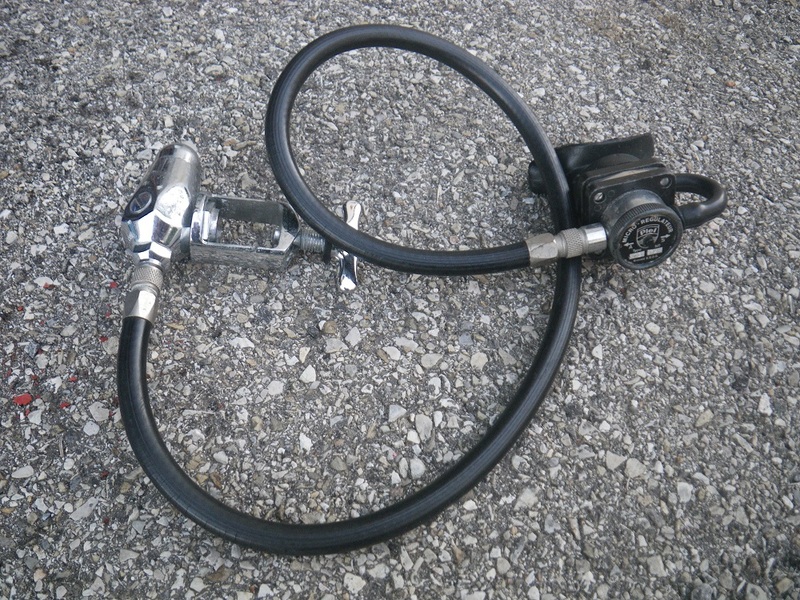 TheCarson2500, The 2500 is all stainless steel, including the regulator. 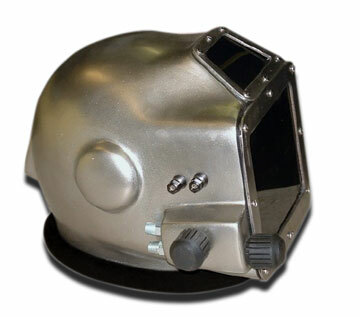 This helmet was finished in April of 1992 and is now available. 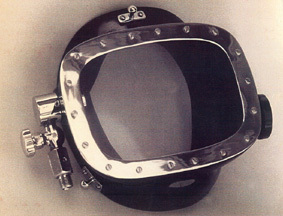 Fisrt manufactured fiberglass band mask in 1970. 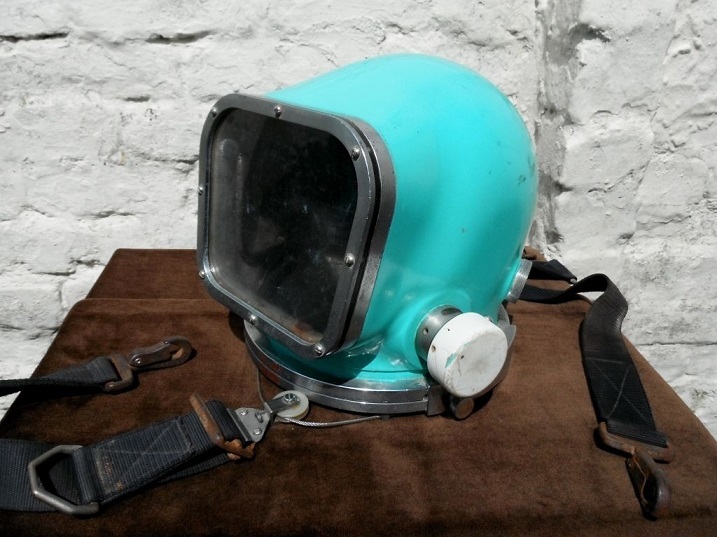 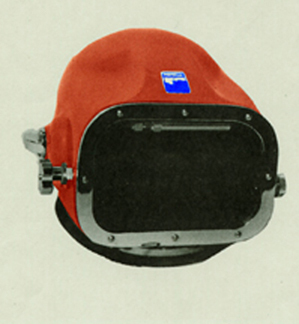 Fiber glass helmet manufactured in 1970. 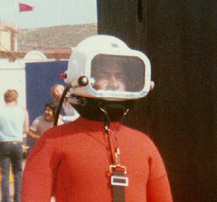 Improved version of the MK3 helmet made for a TV serie in 1976. 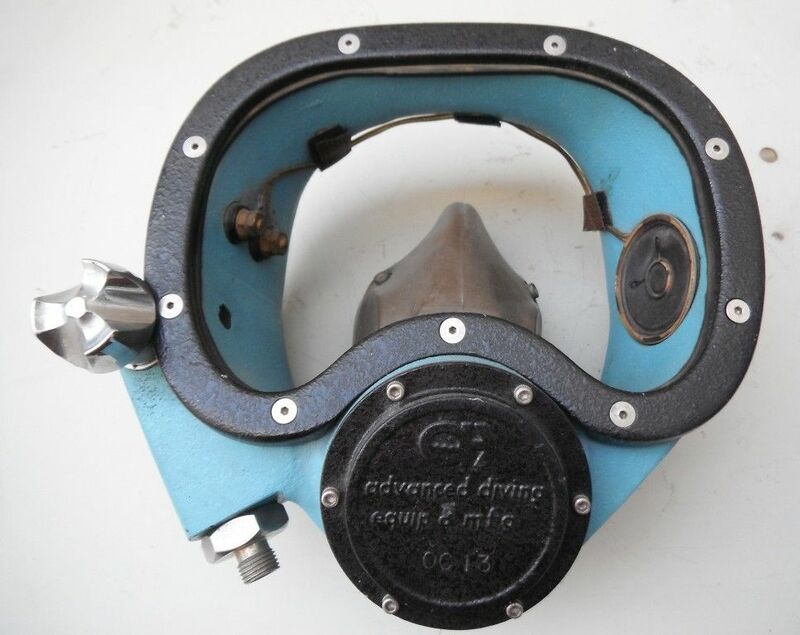 Prototype of a demand bandmask made in 1974. 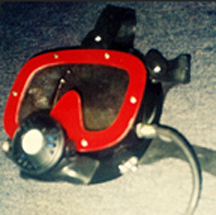 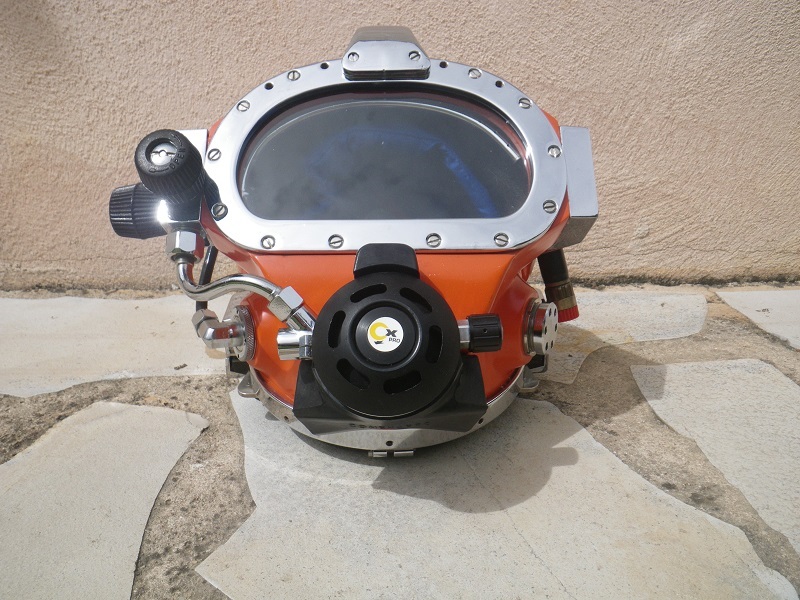 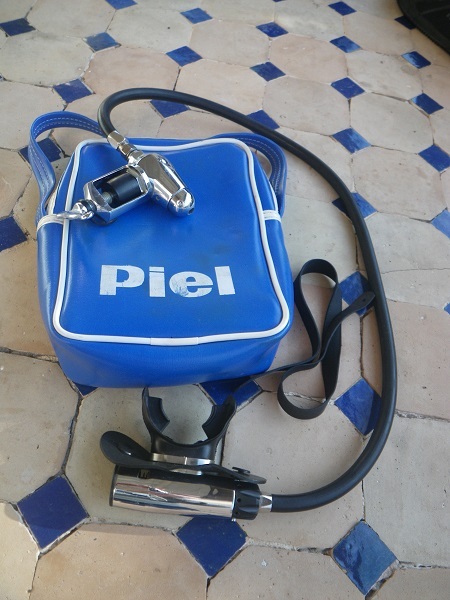 Prototype made before the creation of Divetech.